As our little ones are growing up, we as their parents constantly think of ways to incorporate traditions and culture in their lives which they will also follow when they are older. Growing up is a very fast process and Christmas is the perfect time to instil in our children the importance of culture and traditions. Although the world is changing, modernising and altering 24x7, the importance of following some age old traditions remain invaluable. Christmas is probably the best time to make memories with all our loved ones as well as familiarise the toddlers with the whole process of celebrating a “Family Christmas”. Christmas Carols- This is a great way to uproot and understand the history behind the celebration. Turn up your favourite Christmas carols and also move your feet with the little, over enthusiastic ones too! Another great activity is a night out at the local community carols. Pack a blanket and a picnic dinner and you have a beautiful night out with the family. Christmas Lights- My personal fave! Lights can cheer up anybody! Light up your house and especially your kids rooms so that they can understand that something special is happening. Or if you find this too big of a job, pop the kids in the car and take them for a beautiful evening drive around the local area to look at the house light displays. Decorating the Christmas tree- Go for a shopping trip right before Christmas and let your toddlers choose angels and stars for the Christmas tree. This way, they will start experiencing the pre-Christmas adrenaline rush we encounter every year. 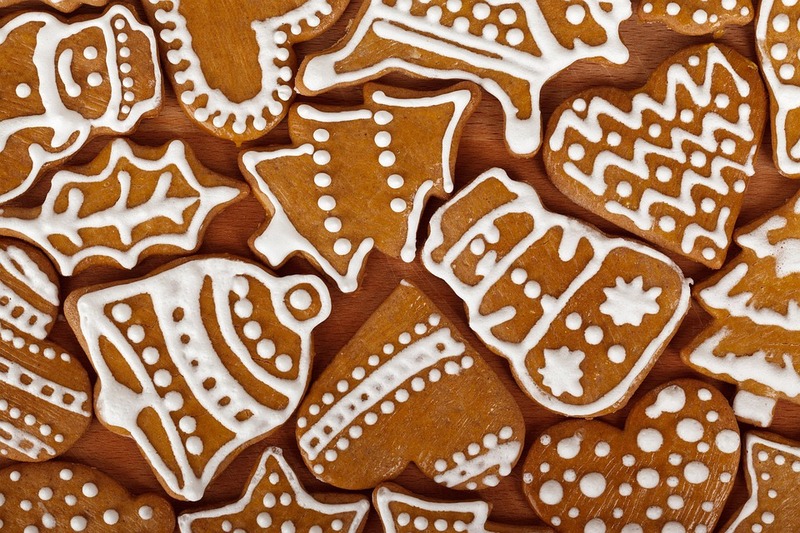 Bake some gingerbread - Baking/cooking is considered one of the most creative ways of bringing out the artistic nature of kids. And when the occasion is Christmas, why not bake a huge batch of gingerbread cookies or make a gingerbread house at home with your little ones? This way you will not only be saving a few dollars on a yummy dessert, but also making some beautiful memories with your babes! Santa Claus- Oh well! Santa! The inner child in me still wishes for Santa to slip some gifts for myself under the tree on the 25th of December every year. Dress up your husband or a jolly family member as Santa Claus and surprise the kidlets with their own visit from Santa. They will be more than happy to get their gifts delivered personally from Saint Nick on Christmas! Christmas Cards- Another unlikely way to spend quality time with your tots. This year, indulge your kids in making Christmas cards for friends and family. Not only them, you too can contribute in making card and they will surely love their mumma making cards along with them. So, got over filled with ideas, right? What are you waiting for? Start preparing your shopping list now! Don't forget to check out our beautiful collection at sunnydaiz.com.au - Our shoes make the perfect stocking stuffer gift for any little feet.